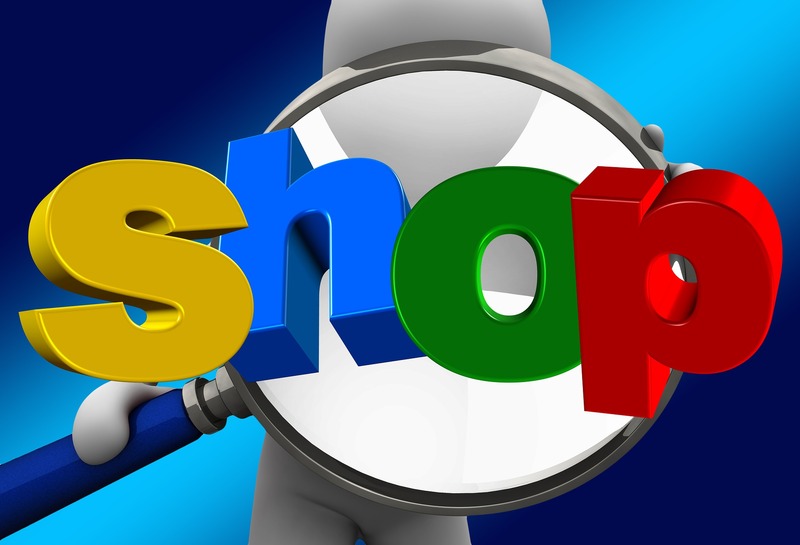 Online shopping, eCommerce stores or shopping websites could well be the future of shopping. This ecommerce websites may be the reason for the closing down of the brick and mortar stores and departmental stores. This web world contains lots of incredibly beautiful online shopping websites. Various online shopping stores deal in wide categories like electronics, garments, home appliances, etc. today on web one can find lots of eCommerce stores that sell high end and low priced products, which makes it difficult to choose from. Included in the top 20 list is the share of e-commerce sales to total sales. Amazon’s pure e-commerce revenue represents over74% of total sales while Wal-Mart standing on number two position has e-commerce revenue of not over 2.81 percent of its total sales; suggesting that the world’s largest retailer has scope to grow online. Also known as, Amazon is an American electronic commerce and cloud computing company with E-commerce sales of approximately $79,269 and E-commerce Share of Total Sales worth 74.2% and growing. Walmart Inc. is an American multinational retail corporation and does business as Walmart. It operates a chain of hypermarkets, discount department stores including grocery stores with E-commerce sales of over $13,484 and E-commerceShare of Total sales of about 2.8% with potential to grow. Apple Inc. is an American multinational technology company,which deals in designing, developing and selling of computer software, consumer electronics in addition to online services. With headquarters is in California,Its E-commerce sales are pegged at $12,000 and E-commerce Share of Total sales value at 5.1%. Staples, Inc. is an American multinational office supply retailing corporation, with over 1,500 stores in North America with E-commerce sales of $10,700 and E-commerce Share of Total sales: 55.5%. Macy’s, originally R. H. Macy & Co., is a department store owned by Macy’s, Inc. It is one of two department store chains owned by the company; with the other being Bloomingdale’s with E-commerce sales of $4,829andE-commerce Share of Total sales: 17.5%. The Home Depot with E-commerce sales of $4,267 and E-commerce Share of Total sales: 5.0%. Best Buy with E-commerce sales of$3,780andE-commerce Share of Total sales: 9.4%. QVC with E-commerce sales of $3,722andE-commerce Share of Total sales: 42.7%. Costco Wholesale with E-commerce sales of $3,618 and E-commerce Share of Total sales: 3.1%. Nordstrom with E-commerce sales of $2,699andE-commerce Share of Total sales: 18.9%. Target withE-commerce sales of $2,524 and E-commerce Share of Total sales: 3.4%. Gap Inc. withE-commerce sales of $2,519 and E-commerce Share of Total sales: 15.6%. Williams-Sonoma with E-commerce sales of $2,501andE-commerce Share of Total sales: 50.7%. Kohl’s with E-commerce sales of $2,367 and E-commerce Share of Total sales: 12.4%. Sears Holdings with E-commerce sales of $2,057andE-commerce Share of Total sales: 7.9%. Wayfair with E-commerce sales of$1,919 and E-commerce Share of Total sales: 100.0%. Walgreens withE-commerce sales of $1,883andE-commerce Share of Total sales: 1.7%. L Brands withE-commerce sales of $1,816 and E-commerce Share of Total sales: 15.4%. HSN withE-commerce sales of $1,810 and E-commerce Share of Total sales: 49.2%. Groupon withE-commerce sales of $1,747 and E-commerce Share of Total sales: 56.0%. Online shopping/ecommerce stores or websites may be the next future of shopping. This ecommerce websites may be the reason for the closing down of the physical stores and malls. This web world contains the lots of beautiful and incredible online shopping websites.